Made of quality 420 stainless steel and ABS. 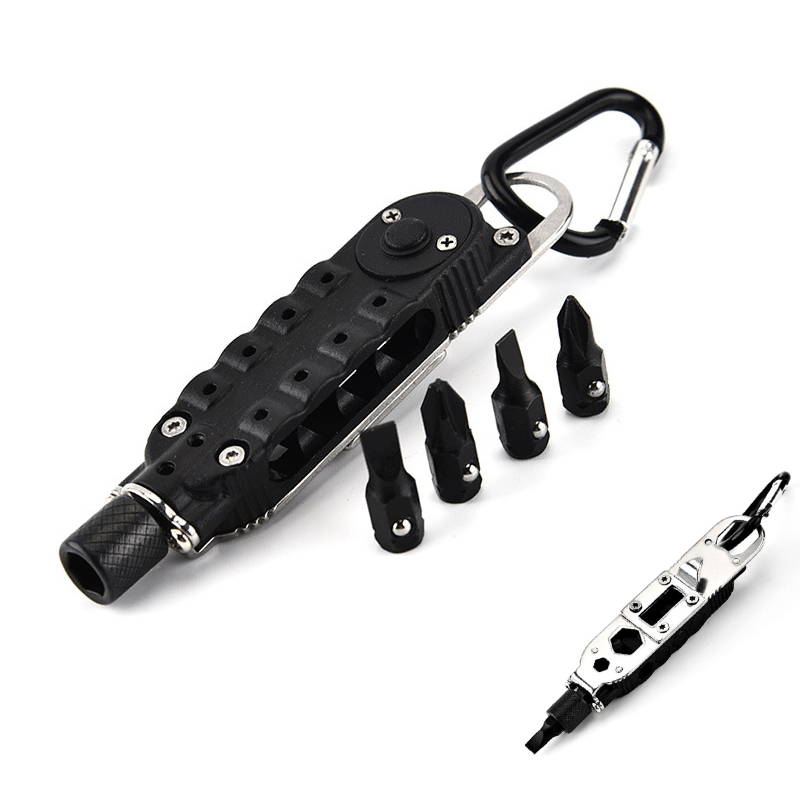 A smart multifunction tools combine, contains 4 screwdrivers, LED flashlight, bottle opener and carry carabiner. Ideal for home, ravel, Camping, Fishing, Wilderness Survival and so on. Mini size and easy to carry. Great for add your brand for promotianl purpose. Additional information: The LED flashlight is powered by 2 CR927 3V button batteries, pricing excludes the batteries. Package: 1 pc/opp bag, 300 pcs/ctn, 43 lbs/ctn.